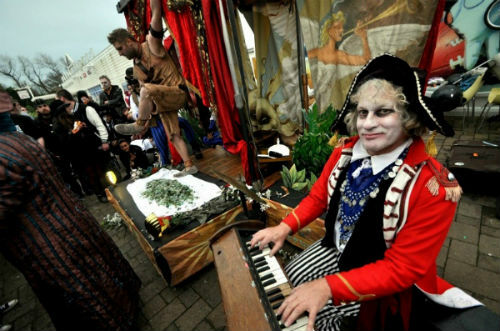 One of our most popular and versatile shows is our Caravan of Lost Souls. 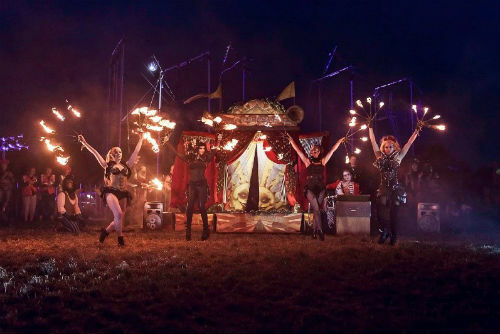 Built onto a Victorian train cart, this is a roving circus performance that can be made to match any event. 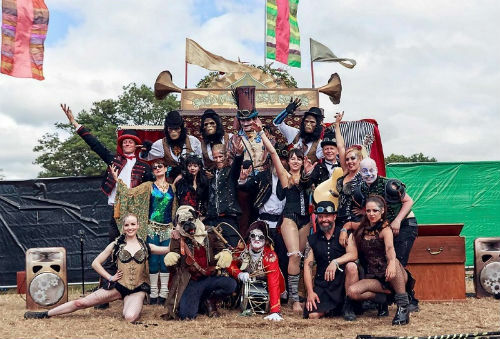 The folded-up “Caravan” is pulled by Igor Rasputin (Ringmaster) and his team of chimpanzees, flanked by a motley crew of circus extraordinaires. On arrival the chimpanzees begin to transform the caravan into a fully fledged stage, complete with PA system. Our mighty host Igor will gather the crowds ready for the delights and sights to come. 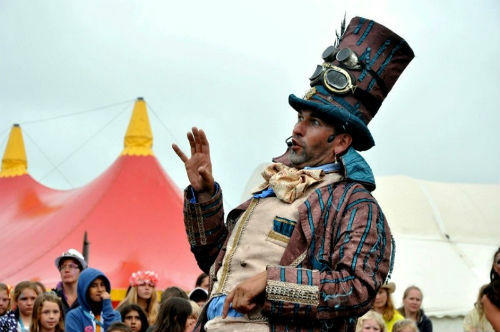 Igor then introduces each of his Lost Souls as they dazzle the audience with skills a plenty! This is simply a brief overview of the framework of the show, during which madness will inevitably ensue. While the basics of the show do not change (Igor will always host and a musician is always needed), his crew are extremely flexible. Contained in this proposal are all the standard (and some of the weirder) acts used in the Caravan of Lost Souls, although there is almost no limit to the variety of acts we can use. 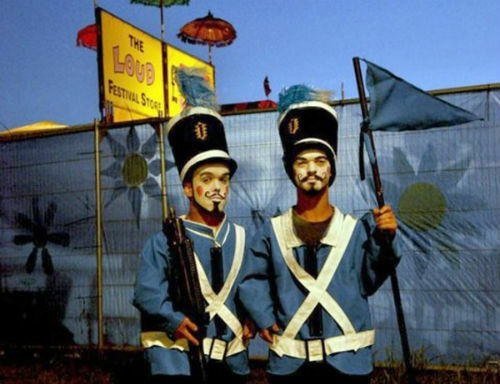 Add something extra to the experience with a high-energy arrival parade, complete with circus-themed stilt walkers, and this will drive onlookers towards the focus of fun, so increasing your audience size. This also allows Igor to make a fascinating show of the transformation from wheeled cart to a wonderful stage, and creates the perfect atmosphere for the great show to come.